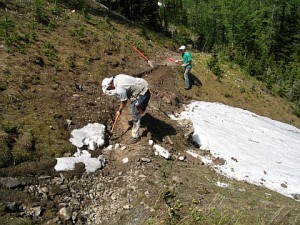 Major trail work took place during July 2009. 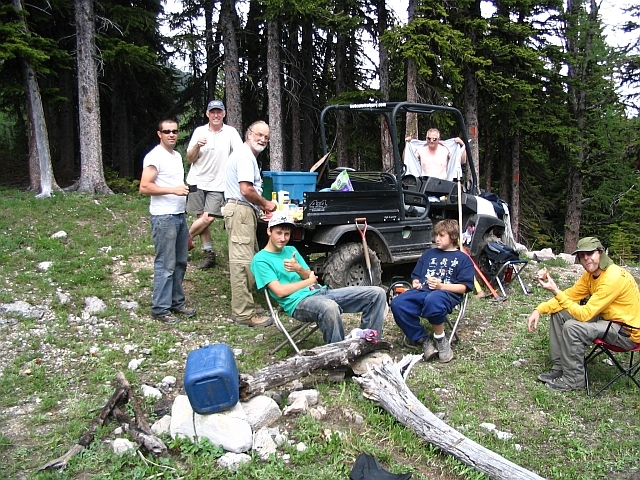 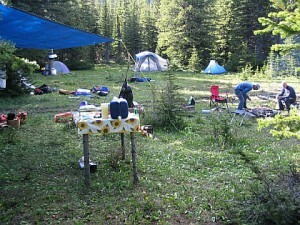 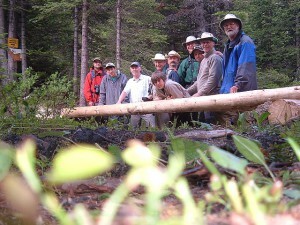 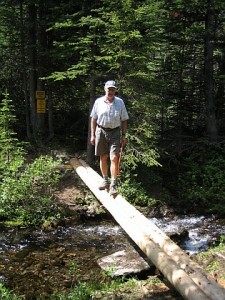 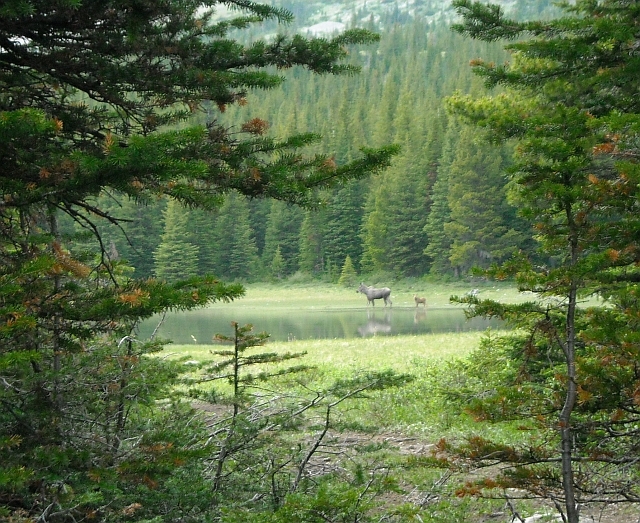 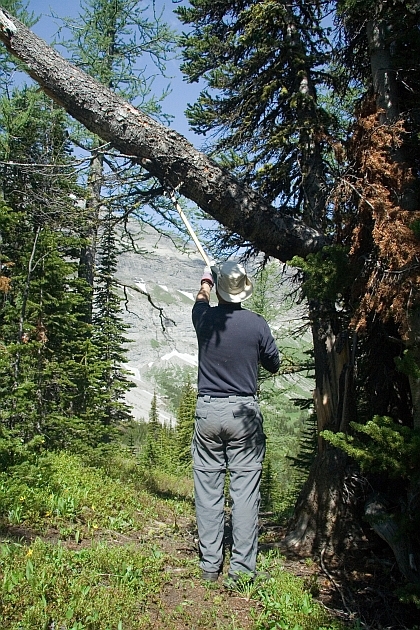 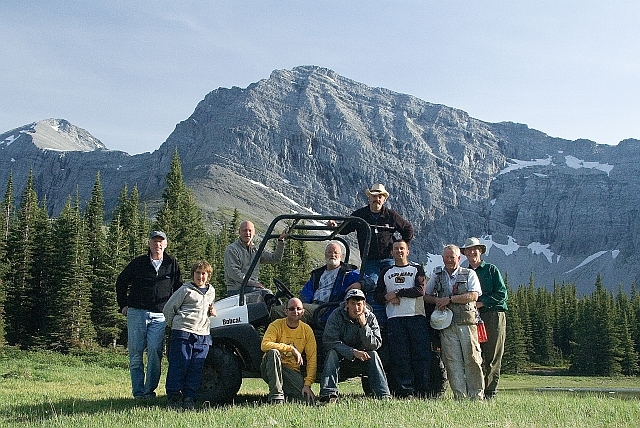 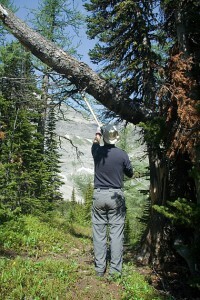 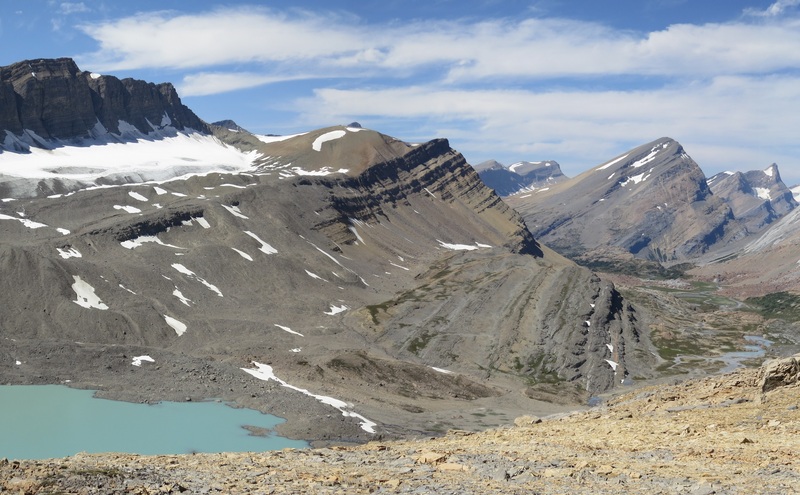 A newly formed volunteer group dedicated to the ongoing maintenance of the GDT, the Friends of the Great Divide Trail, spearheaded the effort by recruiting new volunteers, obtaining permits from the Alberta Government, and arranging for donations of food and the loan of power tools and equipment. 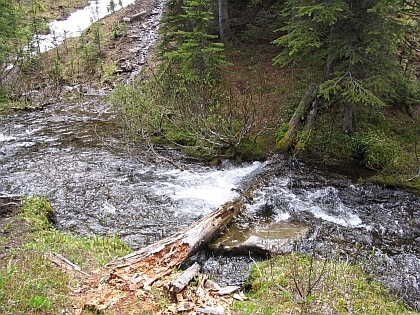 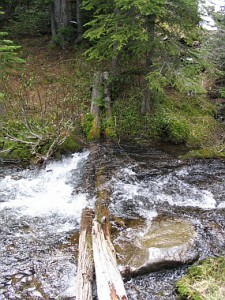 The GDT route through the upper Oldman area had seen little or no maintenance since the mid-1980s and many trail users reported losing the Trail entirely near the old Galena Mine. 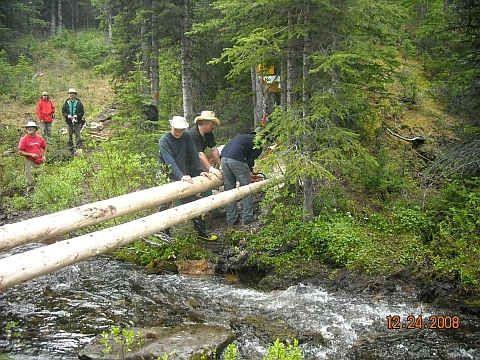 During a 4-day outing, ten volunteers from Alberta and BC constructed a new log bridge over the Oldman River, and carried out tread work and brush clearing for several kilometres in each direction. 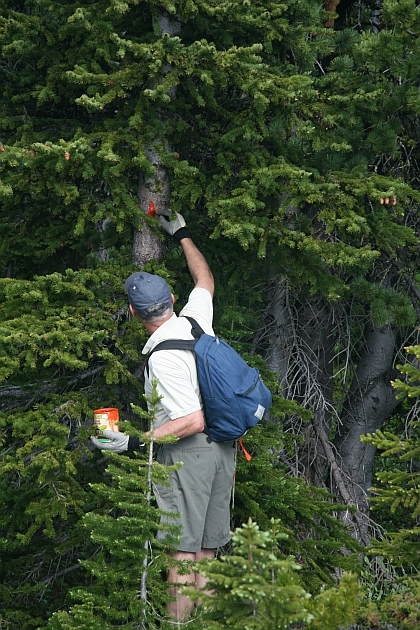 New paint blazes were also applied throughout. 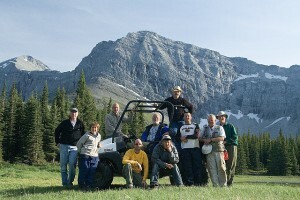 The weather was ideal, the scenery was fantastic, the bugs few, and the camaraderie was great! Everyone went home feeling a huge sense of accomplishment. This slope below the Galena Miracle mine is a spot where hikers have often had trouble staying on the Trail.